A baby whose intestines formed outside her body and risked suffering a fatal tear is set to celebrate her first birthday healthy. 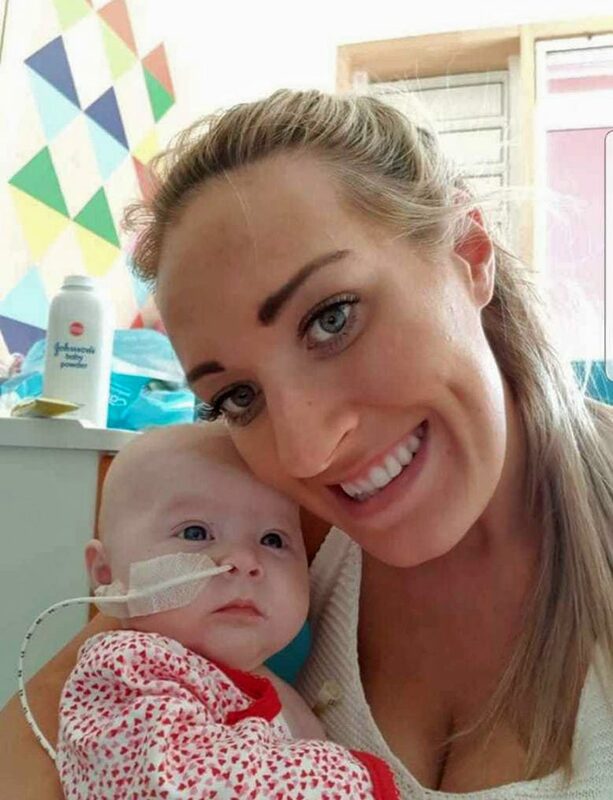 Lily-Rae Lawrence, from Sheffield, had her first operation at four-hours-old and would spend nearly 150 days in hospital before being released. Parents Melissa Thompson and Richard Lawrence, 32 and 34, first discovered something was wrong with their daughter during their 12-week scan. What looked like a ‘puff of smoke,’ by her tummy would turn out to be gastroschisis where parts of her intestines had formed out of a hole in her stomach. It was feared that pressure building up in the organ after the passageways began to narrow, could lead to a rupture – requiring Melissa to deliver her daughter more than three weeks early. Surgeons hoped to put her bowels into a silo bag and let gravity naturally force it back inside her body, but due to the severity of the case more work was needed. After removing parts of the dead intestine that had turned black, they hoped the remaining sections would be able to survive on one blood vessel and regrow. The parents feared if it did not work, she would contend with short gut syndrome meaning she would be on a total parental nutrition drip for up to 21 hours of every day and could spend years in hospital. But miraculously the intestine grew and other tangled sections that doctors had concerns about began had survived. After five-months Lily-Rae was discharged from hospital and now approaching her first birthday this week (APRIL 4), her parents praise the doctors who helped their daughter overcame the odds. Richard, an electrical engineer, said: “The stomach was flat on the scan, but we could see something in the picture outside of her belly, her bowels were on the outside. “It looked like a puff of smoke outside her belly, our initial thoughts were pure worry, you get yourself in a panic trying to get your head around it. “It’s like the plumbing under your sink, but instead of the pipes being under the sink they are outside. “It was a worry thinking that she may have to be delivered early, the ballooning could cause a rupture. “They planned to put her bowels in a silo bag, which is a plastic bag raised above the belly and from there it takes several days for them to squeeze back into place. “But it was not a normal case, it was very complicated and required more surgery. 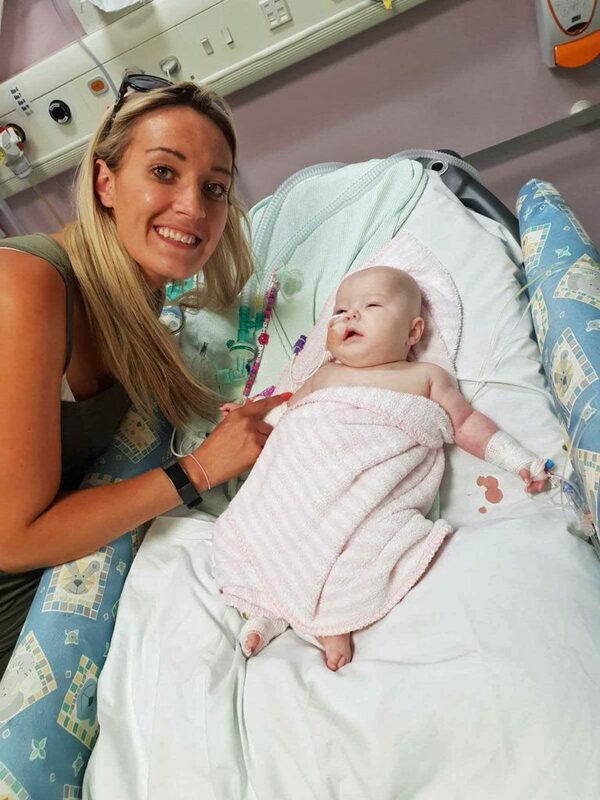 “With Lily only having 17cm of bowel that eventually started working after a couple of days through the stoma, it was highly suspected that she would have short bowel syndrome. “This could have meant she would have been on a drip for up to as much as 21 hours a day and could have even spent a number of years in hospital – at worst would have eventually had to come home on TPN. “But later after her third operation the surgeon was beaming at us, he sat us down and explained that her bowel had grown to more than 23cm and parts had untangled. “It was a miracle it had survived on one of those three blood vessels, to test the connections they put a dye in her system and watched it went through the system. “Everything that was thrown at her she came through fighting, she’s made a perfect recovery with no concerns. 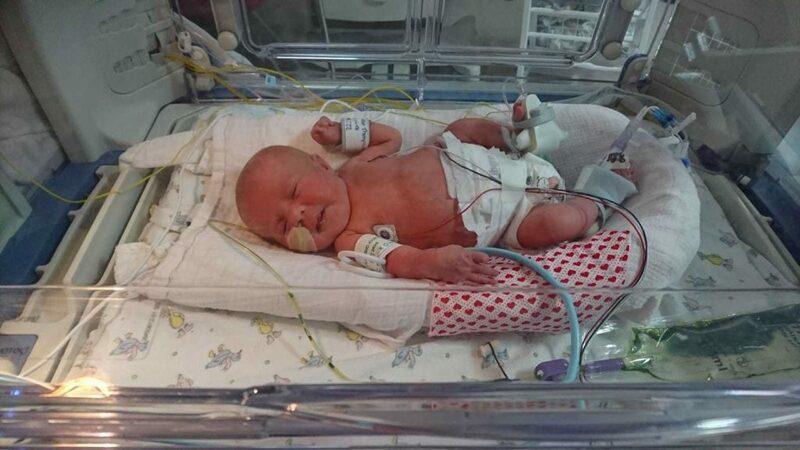 Mum Melissa was forced to give birth to Lily-Rae at 36 weeks and five days, after the little girl’s intestines starting to dilate which could lead to blockages and rupturing. 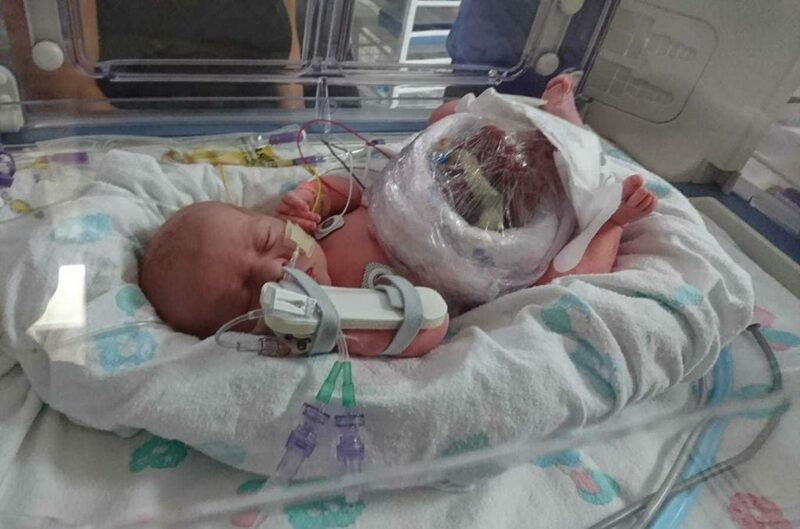 Born at 6lb 2oz she was whisked away by doctors hoping to be able to reinsert her bowels after initially wrapping them in a cling film like material. Melissa said: “It was just heart breaking. We had no idea what would happen because her bowels did not look a good colour and we feared they were dead. Of the 30cm of intestine outside of her body, doctors believed 17cm was alive, forcing them to remove the dead sections and create two stomas outside of her body. The family were forced to wait a further eight weeks for a third operation to ensure the remaining small and large intestines, would untangle themselves. Melissa said: “After two months they went back inside of Lily-Rae to see if any of the rest of the bowel that was matted together had survived and thankfully all of it had. “They found roughly 85cm of small bowel that the 17cm had grown to 23cm, so we had 108cm of small intestine in total. 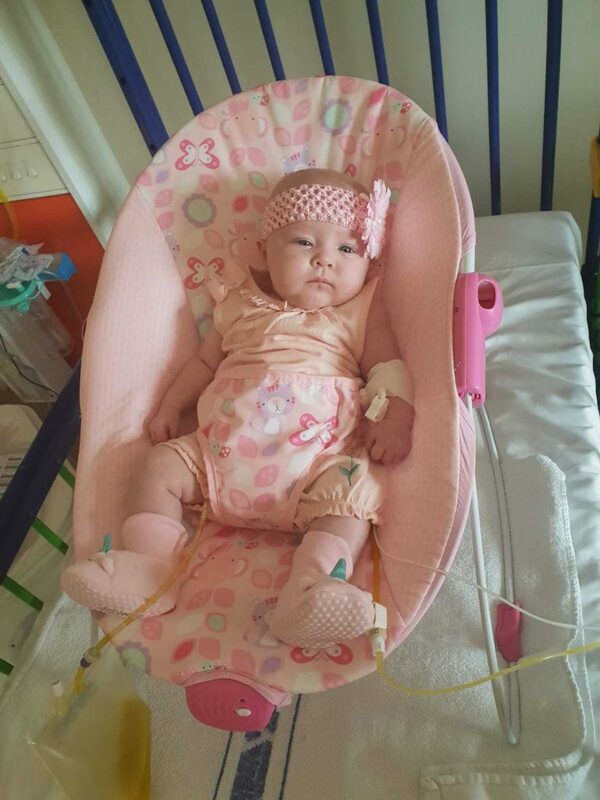 Lily-Rae was discharged after 149 days in hospital and since then has gone onto live a normal life. 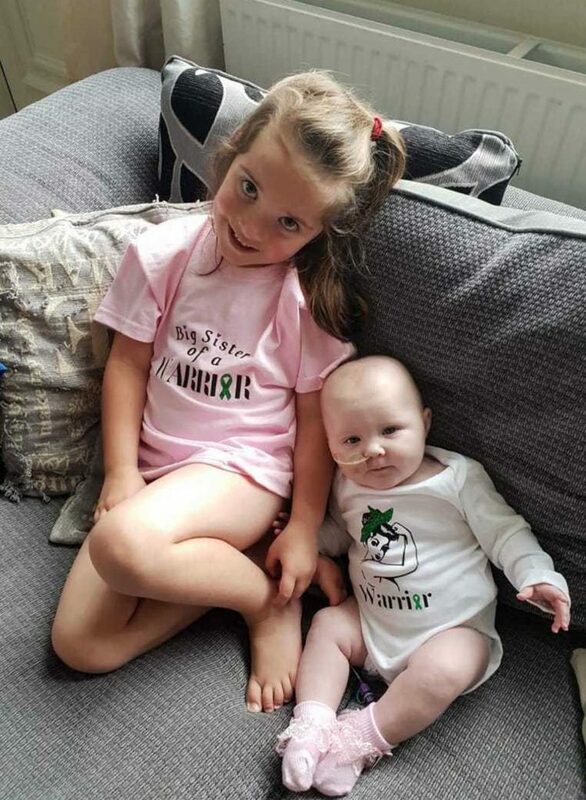 Now back at home, delighted big sister Ruby, five, is savouring every moment with her little sister after waiting patiently to bond with her sibling. Melissa said: “Some of those days in hospital were some of the worst of our lives and felt like the longest five months, it was heart-breaking watching her go through all of that. Getting rid of that mum tummy.. With help of the ones who caused it!